This is the thread for Nintendo Switch games that aren't going to get their own threads but are available to play right now. Got a new indie game you love? That goes in here. One of Nintendo's second-tier major releases? That also goes in here. Game that isn't out yet? That goes in the catch-all. That’s the healthier approach to be sure. Mario Party is pretty great, but not being able to turn off the bonus stars is baffling. I’m pretty much new the series, but I read that some of the previous MP games let you disable this. Kind of makes a lot of the strategy pointless because you can still win completely at random after a long, close game. If you're playing the game win the mindset that it's the winning that matters, can't all the players just agree that the random bonus stars at the end don't matter and ignore them to determine the winner? Or does the game track player stats over multiple plays? Edit: I opened this window late last night and just replied so didn't see the other replies until after I posted. I figured it was like a game of Wait, Wait, Don't Tell Me or Whose Line Is It, Anyway? where winning and score keeping aren't really the point. QFT, For when a like just isn’t enough. That is what we agreed on, but for whatever reason it still stings to see the final scores changed pretty much randomly. It would have even been better if the bonus stars were the same each time so you had bonus goals to go for, but they’re completely random. The ones I've seen are mini games, coins, allies. Basically the things that will help you get stars anyway. What others have you seen? Plus my understanding is that is just Mario Party. It's always had bonus stars. Playing to win in Mario Party is silly. Nobody wins in Mario Party. Furthest distance traveled, shortest distance traveled, one of the ally ones is a random ally, the other is the person with the most allies, then most event squares landed on, the most items used, and some others. Exactly, if you want to win, play Mario Maker. 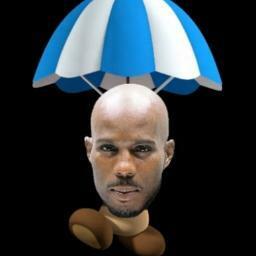 Everyone wins when DMX Goomba is in the mix. I should start by saying that I got the Physical Starter Pack for less than €22 ($25/£20), so pretty cheap. I also got all the digital content for about €35 (£31/$40). In other words, I got the entire game (inc. all the pilots, ships and weapons) for less the than a standard full-price game, and I had everything digitally so didn't need to swap physical pieces at all, and I still have the cool Arwing model. So taking all that for granted, I really enjoyed playing Starlink. I played the whole game as Fox, and mostly stuck with the Arwing, so that was cool. I think the game itself is good, and I think the price and inconvenience of the physical models gets in the way of that. For a lot of the game you're on the surface of one of the Altas system's planets where you can either fly in a hovercraft mode or a proper flight mode. In flight mode you can leave the atmosphere to fly around the system or head to another planet. You spend your time exploring the planet, gathering resources, scanning wildlife, fighting either the big bad or the lesser bad, making allies, helping local scientists etc. etc. I kinda felt like Michael Knight; rolling into town, seeing who needed my assistance, then helping them out before I moved on to explore a new area. Looking at bigger picture stuff, you're gradually forming and growing an alliance throughout the star system to try and push back the big bad. Combat, both on the planets' surfaces and in space, is straightforward and fun. Ice weapons do critical damage against fire baddies, but energise ice baddies, etc. There's also a nice level of variety even within elemental types. E.g. I favoured the ice weapon that delivered a precise spray of bullets, over the charged ice beam or homing ice missiles. Something I like about this game is that it has a nice, light and positive vibe to it. Lots of folks being super grateful for all the help Fox is giving them. I especially liked how passionate the scientist-types were about their research. A lot of the time they'll ask you for help counteracting the effects of the baddies polluting the planet. There's actually a significant emphasis on each planet's eco system. Similarly with the energy-refinery-types, no-one is as good at generating energy as they are! If you look for it, there's a lot of busy work in this game. For me, that was a positive. I enjoyed ignoring the main quest for a while so that I could fully explore etc whatever planet I'd just arrived at. On the other hand, there's no requirement to be thorough. The main quest even lets you skip at least one planet if you want to. Oh yeah, there's RPG stuff too. You can level up your weapons, ships and pilots. Plus you can add mods to your weapons and ships to boost damage, decrease energy cost, speed up recharge, etc. Tl;dr: I think this game is a lot of fun. I'd recommend it, if you can get it at a good price. I'd also recommend going digital for any extra weapons/ships/pilots you decide to buy (unless you actually want the immersion of the physical models). It's worth noting that you can currently get the digital version of Starlink for $30 on the eShop in North America. If that's the "Digital Edition", the one thay includes "5 Starships, 7 pilots, and 12 weapons", then that's an excellent deal. If you picked that up then you could do everything except unlock some secondary perks that I don't think made much of a difference to me. I picked up the digital deluxe a couple weeks ago on the eshop for $40. Worth it. Been enjoying it despite the repetitive nature of Ubisoft's design. I need to start ignoring doing everything on a planet and move the game along, and come back if I care to do more. I just got the the planet where they start tracking your influence per planet. Valkyria Chronicles 4 on Switch has me hooked like I haven’t been in a while on a game. The battles feel epic, the annoying parts of the mechanics from the first game have been fixed, and they’ve added so many great strategic options that battles have become super addictive. This is pretty much the only strategy game series I really like, I’ve realized (I’ve only played this and the first one)—I’ve bounced hard off of everything from Mario Rabbids to Tactics Ogre / FFT to Fire Emblem. It’s also great to tackle a really long battle at home on the TV, and then stop and bring it with me and finish it in handheld mode later. Really good case study for the Switch in general. I couldn't help myself from 100%'ing them, but I did use main quests to break that up when I needed to. Are you sticking with a favourite build or trying a variety of weapons, etc? I maxed out two ships and over a half-dozen weapons, but ended up sticking with the Arwing and a combo of three go-to weapons. The battles feel epic, the annoying parts of the mechanics from the first game have been fixed, and they’ve added so many great strategic options that battles have become super addictive. And Valkyria Chronicles 4 is on sale for $30 right now on the eshop....they hooked me back in. I'm trying to vary it up a bit. Giving those homing ice missiles a fair shake. I tend to run heat or cold on the left and something else on the right, so I end up switching loadouts mid-fight sometimes. It also took me until the last time I played to figure out how to change my pilot. Just push down and then A when the ship is selected on the loadout submenu. Fewer difficulty spikes, better control over when you will miss shots (you can pretty much guarantee a hit now if you’re close enough), you can transport slow characters via APC, you can bring squad mates with your command character without using AP for them to move, which makes the game a lot more about how you deploy your units in real time throughout the battle than about wasting multiple turns trying to get slow characters into position. You can also do these things from the command view: you can deploy or board units from the APC without going down to ground level to initiate it. And the new grenadier class makes a lot of situations that were mechanically annoying to deal with a lot more fun to figure out. That said, I do like the story better in VC1 so far. Yeah I was very tempted by the Starlink complete for $40 sale over the holidays. But I never pulled the trigger. Yeah, very easy to miss how to change the pilot. Took me a while to notice that too. I played about 10 hours with just the Starter Pack so the Ice Missiles were one of only three weapons I had for that time. I quite liked them, especially early on when I wasn't as familiar with the combat and could rely on them to just hit their target. The Hailstorm was my favourite Ice Weapon though, it really packs a punch. Speaking of things that took me a while to notice... If a pilot "masters" a ship or weapon, then all your pilots will gain a level in that ship/weapon. So you know those perks that you can only unlock when you level up specific pilots? I unlocked all of those without ever using those pilots. It's probably slower, but it meant that I could stick with levelling up Fox. today! This is gonna be great! I plan on playing Toadette as Peachette through the normal game, then under-loved Luigi for the Luigi U levels. I had wanted to finish Rayman Legends first since I also have that on a cart, oh well. I bought the Switch physical version specifically so I could get the Arwing and it was worth it! That thing is really nice. Some day I'll play the game. I was tempted by that, but part of me feels like that will drop in price fairly quickly. Or that I'll be able to pick it up used shortly. I haven't actually played it and I loved NSMB2, so I'm excited to try it, but $60 is a little high for me right now. NSMB U isn't going to drop in price any time soon, and I doubt used sales will drop much. 2D Mario games are hugely popular, typically outselling their 3D counterparts. It being a Wii U release works to its advantage here: virtually no one has already played it, so it's effectively a new release. This is what I did. This is going to be a couch co-op game for the wife and I, probably the thing she's most interested in until Animal Crossing. I wish I had peeps that played games. My wife definitely doesn't outside of board games. I was pleasantly surprised by the Arwing model; it's much bigger, sturdier, and nicer looking than I'd expected! US one specifically ended at midnight Eastern, release time.